Quill Foundation - Centre for Research & Advocacy. Founded in 2015, Quill Foundation is an autonomous institution engaging in research and advocacy in India. Quill's core work revolves around pertinent issues of human rights, justice, and equity, faced by the underprivileged sections of the people of India, especially Adivasis, Dalits, Muslims, women, sexual minorities and differently-abled persons. Presently, the Delhi based Law and Human Rights Cell (LHRC), under Quill, seeks to examine the many ways in which legal and judicial processes form the context of everyday injustices. And how the interface between law and the social world, constitutes citizens differently in terms of access to rights and justice. The underlying philosophy is the preamble and the fundamental rights of the constitution of India. Our slogan is "Back to the Constitution". With a firm belief in an egalitarian and just world, Quill Foundation’s intervention will be oriented towards change both on the ground as well as at the level of policy. 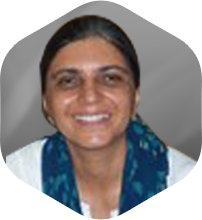 Associate Professor , Chairperson, Centre for Social Justice and Governance, School of Social Work, TISS. Area of Interest: Law, Human Rights. Teaching: Polity, governance and public policy; Law and Social Work; Engendering Law and Justice at TATA Institute of Social Science. Currently Fellow at Nehru Memorial Museum and Library. 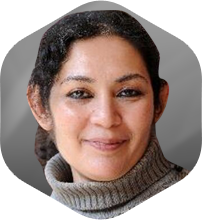 She teaches at the Centre for Comparative Religions and Civilizations, Jamia Millia Islamia, New Delhi. Prolific Writer on Terrorism in India. Activist with Jamia Teachers' Solidarity Association. Former professor of biomedical engineering and former senior medical officer affiliated with the Indian Institute of Technology Bombay. He is involved with human rights activities, communal harmony and initiatives to oppose the rising tide of fundamentalism in India. 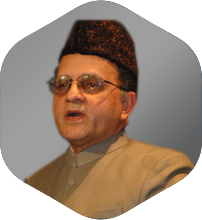 He is associated with the organisations All-India Secular Forum, Center for Study of Society and Secularism and ANHAD. In 2006, he was awarded the Indira Gandhi Award for National Integration. Investigative journalist in Tehelka. Resource person on Terrorism. 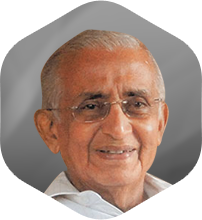 P. B. Sawant (born 30 June 1930) is a former Supreme Court judge in India. 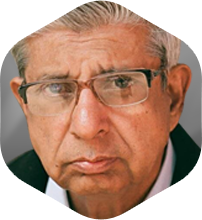 In 2002, he served with retired justice Hosbet Suresh on an Indian People's Tribunal headed by justice V. R. Krishna Iyer to investigate the 2002 Gujarat riots. Since his retirement in 1995, he has been active in public affairs. 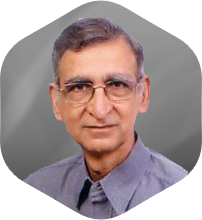 Practised as Advocate in Bombay High Court and Supreme Court of India since 1957 in all branches of law - Civil, Criminal, Industrial, Service Election, Constitutional and Co-operative on Original and Appellate side. Justice H Suresh is a former Mumbai high court judge who has led a number of commissions that investigated violations of human rights. He is a leading human rights activist and has worked extensively for civil liberties in Maharashtra and other parts of the country. He was one of the leading lights behind the struggle to scrap TADA and worked for the early release and rehabilitation of TADA detainees in Mumbai. He has himself seen atrocities perpetrated by law enforcers on the people arrested by them during the post Babri demolition riots during 1992 and 1993 and subsequent bomb blasts. Justice Suresh has been fighting for them and has been trying to drum up support for them. Former Judge at Mumbai High Court. Eminent Human Rights activist based in Maharashtra. Led several fact finding missions on terror incidences. Senior counsel at Supremem Court of India and an eminent human rights activist. Heads "Legal Axis", a law firm in Delhi. He had served as the Additional Advocate General, Government of Haryana in Hon'ble Supreme Court of India. 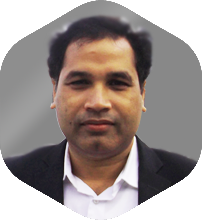 He is the member of International Institute of Space Law and also the president of South Asian Muslim Lawyers Association. Social worker and writer, Director of the Centre for Equity Studies and a Special Commissioner to the Supreme Court of India in the Right to Food case. 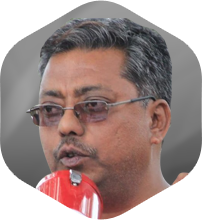 writes and speaks regularly on issues of communal harmony, tribal, dalit and disabled persons' rights, the right to information, custodial justice, homelessness and bonded labour. He is also a member of the Working Group of the Project on Armed Conflict Resolution & People's Rights, University of California, Berkeley. He is also the founder of the campaigns 'Aman Biradari', for secularism, peace and justice; 'Nyayagrah', for legal justice and reconciliation for the survivors of communal violence. 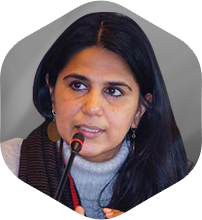 Saba Naqvi is the political editor of Outlook, one of India's leading news magazines, and writes on politics, governance and current affairs. She has travelled extensively across India and covered elections in the country, particularly in the states of Uttar Pradesh, Bihar and Gujarat. Beyond her role as a political reporter and analyst, she follows issues of identity and culture. She lives in New Delhi. Professor and Chairperson at the Centre for West Asian Studies, School of International Studies, Jawaharlal Nehru University. 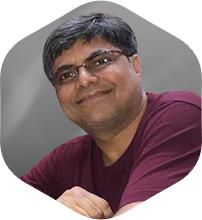 He also has held various academic positions at Jamia Millia Islamia, New Delhi; Bucknell University, Pennsylvania; and Cairo University, Cairo. 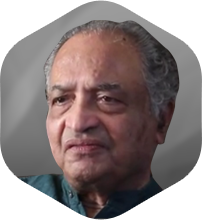 He has authored various books related to the Middle East and numerous articles on Keralite politics and culture. Eminent Supreme Court Lawyer & Human Rights Activist. Senior Advocate at Karnataka High Court and Eminent Human Rights Activist. Activist, Cartoonist and Filmmaker. 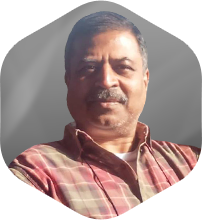 He is the editor of Counter Currents - a news and analysis web portal on major world events and on key issues. Founder and Convenor of Indian Social Action Forum (INSAF) one of the largest network of people's movements in India. 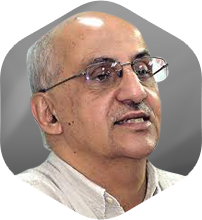 Founder and president of Rihai Manch – A Political Front for resistance against repression. Eminent Supreme Court Lawyer and Human Rights Activist. Senior Bombay High Court Lawyer. He is also the chairman of Association for Protection of Civil Rights (APCR) and the legal committee of the AIMPLB. 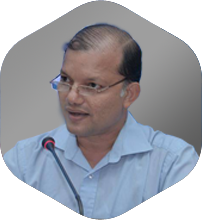 Deputy Director TISS Tuljapur Campus, Osmanabad, Maharashtra, and Professor at School of Development Studies, TISS, Mumbai. Chairperson, International Relations Office (IRO), TISS, Mumbai. Member of the Commission of Inquiry to Study Socio-Economic Status of Muslims in the State of Telangana under chairmanship of Shri G. Sudhir (IAS). 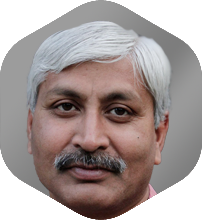 Presently, Prof Arvind Tiwari is Dean, School of Law, Rights and Constitutional Governance, Tata Institute of Social Sciences. Also, he serves as Dean, Students' Affairs and Chairperson, Nodal Centre of Excellence for Human Rights Education (NCHERE). Prof. Arvind Tiwari has played a significant role in imparting human rights education to the various stakeholders including criminal justice functionaries such as police, prosecutors, judiciary and prison officers through various training programmes. He has organized and participated in several national and International conferences /workshops on human rights issues. Prof Tiwari has been extending professional services to several Universities and other constitutional bodies functioning under Central and State Governments etc. He is on the Board of Referees of many peer reviewed journals and is also the member of many key professional organizations. 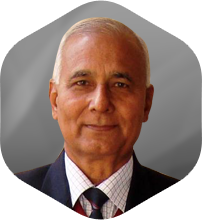 Prof. Apoorvanand teaches at the Department of Hindi, University of Delhi. He is a literary and cultural critic. 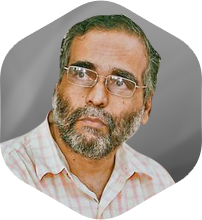 He is a social activist and also writes on contemporary issues. 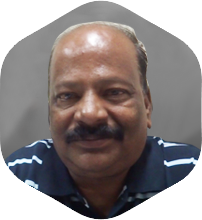 He has been associated with various committees on school and university education. 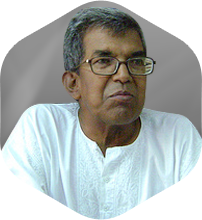 Presently he is the editor of Aalochana, a journal of criticism. Swami Agnivesh is president of the World Council of Arya Samaj and a social activist. 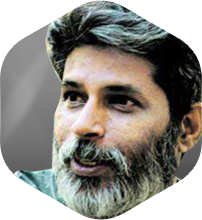 He is best known for his work against bonded labour through the Bonded Labour Liberation Front. He is the chairperson of the United Nations Voluntary Trust Fund on Contemporary Forms of Slavery in Geneva. 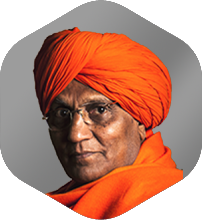 Agnivesh is also a proponent of interfaith dialogue and is a governing member of King Abdullah bin Abdulaziz International Centre for Interreligious and Intercultural Dialogue (KAICIID), the Board of World Leaders for the Elijah Interfaith Institute. Had won several awards including Right Livelihood Award (Alternative Nobel Peace Prize) in Sweden and Freedom and Human Rights Award in Bern, Switzerland. 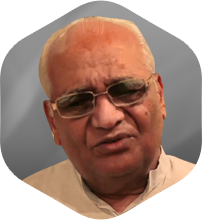 Member of the Haryana Legislative Assembly, India (1977–1982). Minister of Education in Haryana, India (1979). A Civil-Servant and former 'Officer on Special Duty' for the Indian Prime Minister Dr. Manmohan Singh and worked with the Sachar Committee. He represented Indian Muslim community on numerous occasions. 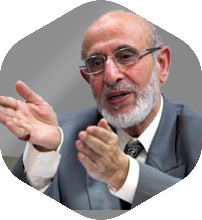 He is the founder of three non-profit organizations: Zakat Foundation of India, Interfaith Coalition for Peace and God's Grace Foundation. 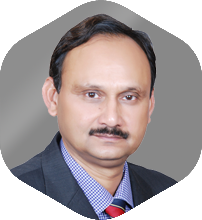 He is the Executive Director of Indian Social Institute (ISI) Delhi.